Peripheral surface pump, simple, reliable and economic, all in one. 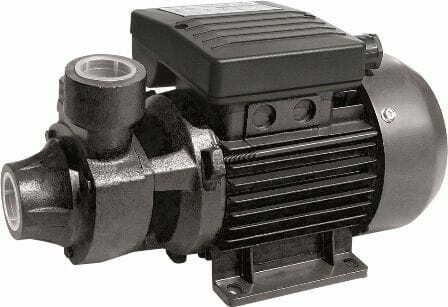 This is one of the most popular pumps for its simple installation and use. Peripheral single stage pumps . Brass impeller, pump body and mechanical seal backplate in grey cast iron. Suction and discharge 1 ". Suitable pump for supplying water, filling tanks and operating with pressure controllers COPRES 10 for the automatic supply of water. Two pole induction motor with built-in capacitor single-phase models. Continuous operation. Complete pack consisting of pump, liter counter, gun, hose and clamps, all mounted on a metal frame.